While using our smartphones, we’re juggling a lot of tasks at the same time. 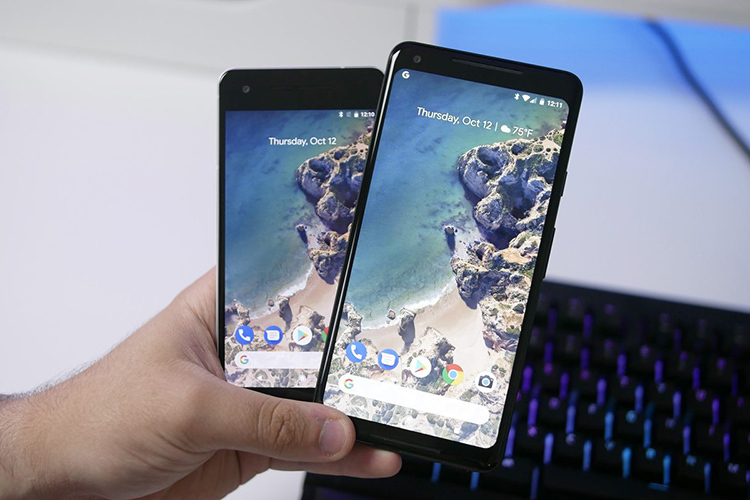 Multitasking is a key performance metric on smartphones – especially Android, and it is often that we’re engaged in another task in the background while speaking on a call. To make that easier, Google is adding floating chat heads (or rather, call heads) to its Google Phone app which is the default calling app on Pixel and Android One devices, allowing users to minimize the call in a Facebook Messenger-like bubbles with the contact’s photo on it. A stripped down version of the floating call/chat heads was spotted by 9to5Google last year in August, but the current version is much more elaborate and rich with features. You can toggle basic controls like muting the call, switching between earpiece and speaker, and ending the call directly from the floating bubble. The floating bubble appears on its own when you press the Home button and you can also use it to enter the call screen again. The feature seems to be experimental right now and you cannot disable it. But if you’re not fond of floating windows, you can toggle “display on top of others apps” off for the Google Phone app. This will not hurt your calling experience in any way. Google seems to be testing the Real-Time Text (RTT) feature which basically transmits text instantly over calls instead of a dedicated SMS. There aren’t many noted uses, unless you’re in desperate need of sending a text to the person calling – maybe to spell out a particular word or type a long string of numbers. RTT was spotted by Android Police in an APK Teardown and it is likely that Google includes the feature in upcoming updates. In case you own a Pixel or Android One device and want to give the new chat head feature a try, you can download the Google Phone app for free from the Google Play Store. Alternatively, you can pick the latest APK version from APK Mirror. If you do not own a Pixel or Android device, you can read our guide on how to enable chat heads for a variety of third-party apps.